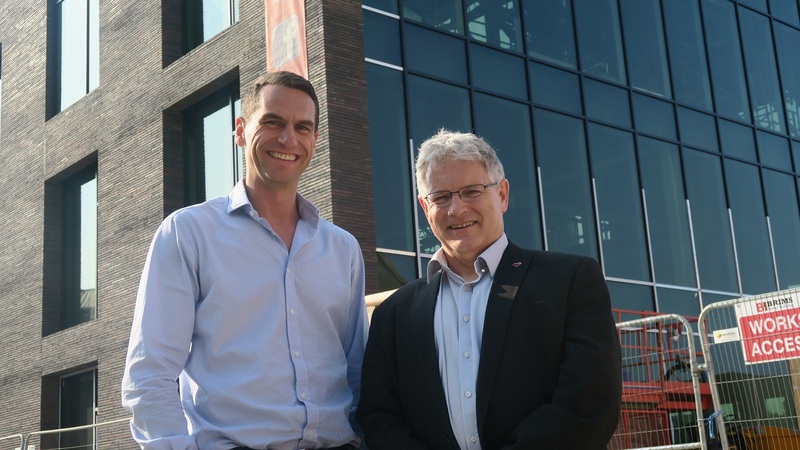 The University of Sunderland has been praised for its role in helping the city to become one of the fastest-growing digital technology sectors in the UK. Figures from the Tech Nation Report show Sunderland is one of the top places for job creation within the industry, with the number of people working in the sector growing by 26% over the past four years. And the role of the University has been highlighted as key to the success of the sector. The report revealed that the city’s digital technology businesses turned over approximately £118million last year, averaging around £78,000 for every employee working in the industry. The yearly Tech Nation Report captures the strength, depth and breadth of digital technology activity across the UK, taking into account the number of jobs created, total turnover and the number of businesses starting up. Outside of London, the North East was one of the fastest-growing regions in this year’s report, which also had Newcastle and Middlesbrough scoring highly. But it found Sunderland in particular was one of the top places for job creation. Since 2008, the University and Software City have been working in partnership to ensure the region’s software industry has the facilities, access to opportunities, support, connections and skills it needs to compete on a global scale. The University is also working closely with city-base software developertombola after launching a degree apprenticeship scheme partnership. tombola will initially take on four school leavers per year on their Degree Apprenticeship, supporting them through a Digital & Technology Solutions Professional degree, specialising in Software Engineering. They will provide them with a paid apprenticeship during their degree, giving practical experience and on the job training alongside their debt-free studies. Upon graduation, tombola has a clear intention to offer them full-time roles, with the potential to build a long-term career with the company. With a shortage of coding and software development skills widely acknowledged as a significant problem facing the digital economy, tombola and the University believes investing in these skills is crucial to the future economic success of the region and the country. But to ensure this investment has long-term benefits it is essential there is a direct connection between what people are being taught and what skills firms actually need. Degree apprenticeships help to bridge this gap.